Betfred is one of the giants of the gaming industry, so we at Phone Bill Casino are eager to bring you information about their impressive promotions. 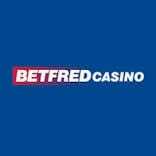 This review focuses on Betfred Casino which offers a huge choice of games such as Table Games, Poker, Bingo, Live Casino and Slots including the featured favourites Rainbow Riches, Siberian Storm and Mayan Riches. The fact that Betfred Casino is available on your mobile devices can only add to their appeal. If you have a smart phone including Android, iPhone or a Tablet device then you can game when and wherever you like. This will make your day much more exciting because whether you’re walking the dog, commuting to work or simply relaxing in the bath, you can play your favourite games and hopefully win a jackpot or two. Earn comp points simply by playing. The bonuses begin at the point you register because with Betfred Casino you’ll receive a 1st deposit bonus of a 100% cash match bonus up to £100. This basically means that if you take advantage of this incredible promotion then you’ll walk away with a grand total of £200 to game with. 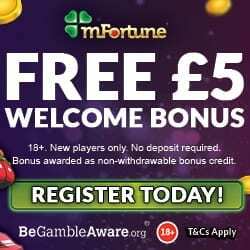 Even when you’re ready to make your 2nd deposit you’ll receive a 50% cash match bonus up to £50 and another 50% bonus on the 3rd deposit up to £50. 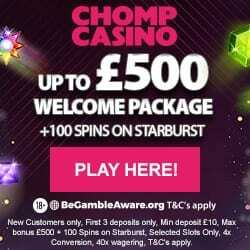 This means in total you could receive a whopping £250, simply for depositing. For the high rollers out there, when you make your 1st deposit of £1,000 or more you’ll receive an extra £500 to get you started. Betfred Casino offer the ability to earn comp points simply by playing your favourite games. These points can be converted into additional gaming credit which will not only provide more entertainment but increase your chances of winning. 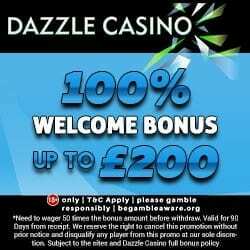 They also run a double comp points promotion where for a specific casino game between Monday 12:00pm to the following Monday 11:59am you’ll earn bonus points. There is no need to opt in, simply launch the game and begin your session. If you’re a social media fan then make sure you check out Betfred Casinos Facebook, Twitter and You Tube pages where you can keep up on the latest games and bonuses. Acceptable bank methods are Credit and Debit Cards, Paypal, Neteller, Skrill and U Kash. So if you’re ready to start claiming the deposit bonuses simply head to Betfred Casino and register today.